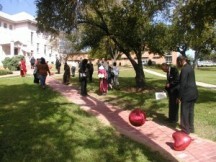 The Annual Fund is the foundation of Huston-Tillotson University’s fundraising program. 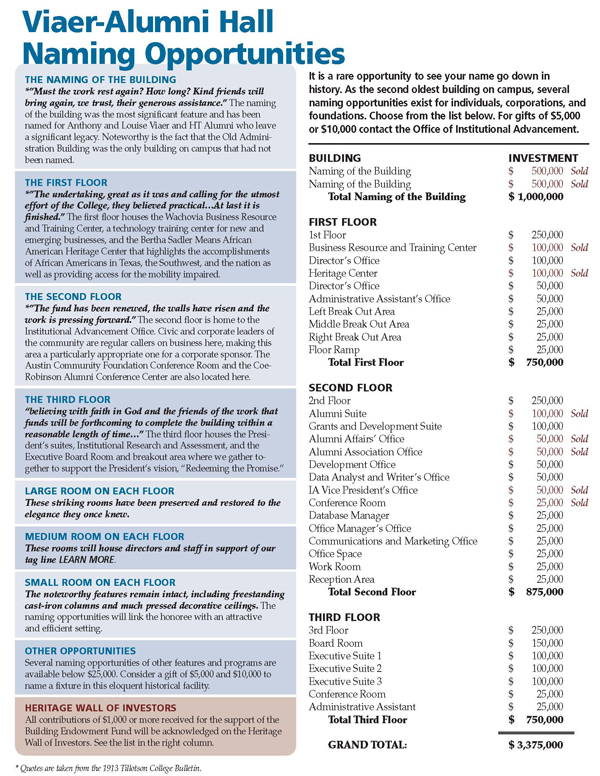 Its monies are unrestricted and used to meet the University’s most crucial needs annually. The Annual Fund supports the mission of the University by introducing alumni, parents, friends, faculty, and staff to the importance of giving yearly to enhance programs and assist in the daily operations of the University. Fax your order with credit card information to 512.505.3196. Telephone your order to 512.505.3073. Buying a brick is one of the many ways to make a donation to Huston-Tillotson. It’s a lasting contribution visible to everyone who visits our famous Walkway. Institutional Advancement and Alumni Affairs staffs are available to work with you to define and establish scholarship funds. With your instructions we will compose a letter that will provide the University with specific direction to administer the fund in accordance with your intentions. Call the Director of Alumni Affairs at 512.505.3073 for more information. Your class reunion is a very special time – a time to return to campus, reunite with old friends and perhaps reconnect with a favorite professor. It is a time to remember your earlier years and reflect on everything that you have gained from your time spent in the classrooms, on the playing fields and in the residence halls of the University. It is a time to come back and most importantly, an opportunity to give back! When you make purchases from the HT bookstore not only do you show your Ram pride, but a percentage of the proceeds are returned to HT. Visit our bookstore to purchase alumni paraphernalia and other items to show your school spirit. An array of possibilities exists at Huston-Tillotson University for donors interested in naming opportunities. A named gift opportunity sends a strong message to our students and campus visitors. Review our existing naming opportunities. Donors are encouraged to work with Institutional Advancement to create other naming opportunities that might be more closely aligned with their special areas of interest. All namings are subject to Huston-Tillotson University President and Board of Trustees approvals. Now is your chance to join the “Finishing the Last Mile” Annual Fund Campaign. Invest in quality academic and student life experiences for Huston-Tillotson University students. Give today by clicking the link below, mailing your check, or downloading the Givelify app. Show your RAM pride by supporting the “Finishing the Last Mile” campaign. A gift annuity agreement provides contributors who donate cash, securities, real estate or personal property with fixed annual payments for a specified period of time. Donors who choose a deferred gift annuity will begin making the annual payments at a time specified by them. Gift annuities are beneficial for donors who want to receive income from assets that have increased in value, such as cash or stocks. In exchange for gifts of such assets, donors are guaranteed a lifelong fixed annual income and avoid capital gains tax; in addition to an income tax break on a portion of the earnings from an annuity; the exact amount depends on their age. 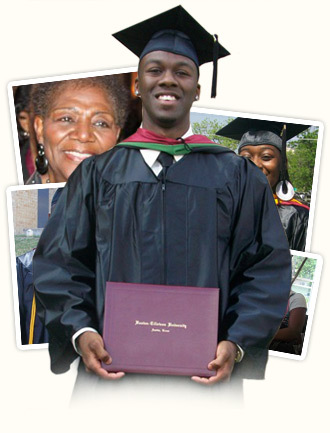 Give the gift that keeps on giving by naming Huston-Tillotson University the irrevocable owner and beneficiary of a life insurance policy. Below are several convenient ways to use a whole or universal policy as a charitable gift. Contributing a paid in full policy that you no longer need does not diminish your current income and may provide you with an income tax deduction for the replacement value of the policy. Your gift may also save you substantial estate taxes. You may also contribute a policy that is not paid in full and take a deduction for the “cash surrender value” of the policy. You would continue to make gifts – deductible charitable contributions – to HT to pay the premiums. You may fund a Charitable Remainder Unitrust for your spouse with life insurance. The premium payments would be partially tax deductible and the trust would provide income for your spouse after your death. Huston-Tillotson University welcomes gifts of tangible property that further Huston-Tillotson’s educational endeavors which the University would otherwise need to purchase. Gifts of real estate can generate significant tax benefits for donors and eliminate problems that come with the settlement of estates. The gift can be for a fractional interest in the property or the entire property. Donors often transfer their property to a trust that generates income for them for life, then on to Huston-Tillotson after their death. If you prefer to make your gift by fax, please complete the printable pledge form with your credit card number, and fax it to 512.505.3196. To make a gift by telephone, please call 512.505.3073 Monday–Friday between 9:00 a.m. and 5:00 p.m. CST. 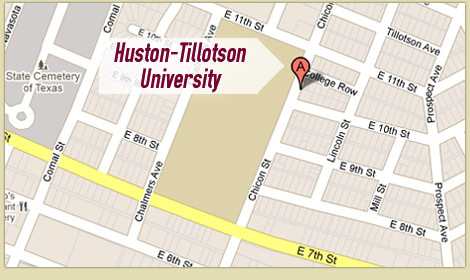 Huston–Tillotson accepts American Express, Discover, MasterCard, Visa, and payments over the telephone.